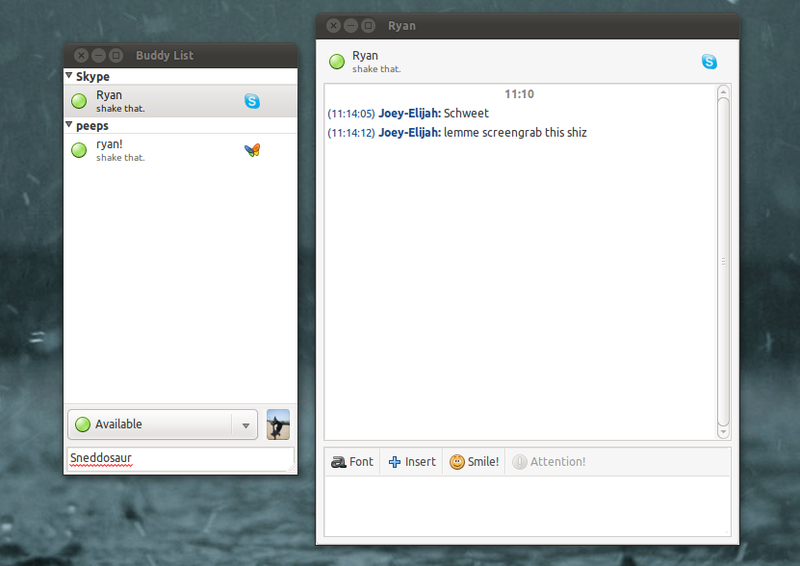 Run Skype as a daemon and manage it from Empathy or Pidgin in Ubuntu 11.04 - OMG! Ubuntu! 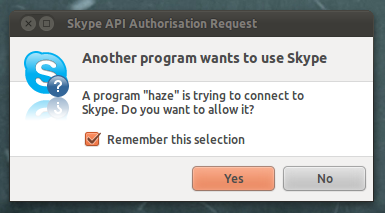 As great as Skype are for providing a Linux client having to run/swap between it�and your multi-protocol client of choice isn’t an ideal set up. Gzap stopped by the OMG! Ubuntu! inbox to drop off a tip that unifies Skype and Empathy; by installing the pidgin-skype plugin from the Ubuntu Software Centre you can manage your Skype contacts from the buddy-list of Ubuntu’s default IM client Empathy or the perennially popular Pidgin. One drawback to this approach thus far has been that, due to Skype needing to be running in the background, the bulky green Skype icon appears in the system tray.�In Ubuntu 11.04 Unity we can finally “hide” that icon�essentially�forcing Skype to work as a ‘daemon’ – software that runs in the background. gsettings set com.canonical.Unity.Panel systray-whitelist "['JavaEmbeddedFrame', 'Mumble', 'Wine', 'hp-systray']"